The share of ethnic minority residents has been increasing in many major European cities during the past two decades and these cities are experiencing increasing ethnic diversity (Vertovec, 2007). For example: In 1999, non-western ethnic minorities, such as Turks, Moroccans, Antilleans, and Surinamese, comprised 8.5% of the Dutch population. By 2015, the share of the same groups had increased to 12.1%, which, in absolute numbers, means that the number of ethnic minorities in the Netherlands has increased by almost 700,000 people in 16 years (Statistics Netherlands, 2017). About 62.5% of this increase in the number of ethnic minorities is the result of natural growth (Statistics Netherlands, 2017). Geographically, members of ethnic minorities tend to be overrepresented in large cities because of the services and the availability of affordable housing (cf. Borjas, 1999) and the presence of immigrant networks (Logan et al., 2002). Studies on ethnic segregation have focused on the question of how ethnic minorities are sorting into different neighborhoods in these cities and to what extent they live together or apart from the native population (e.g. Bolt & Van Kempen, 2010a; Johnston et al., 2009; 2010; Poulsen et al., 2011). Although segregation is most often viewed as a condition of neighborhoods and cities at a certain point in time, ethnic segregation is not a static phenomenon but is a dynamic process that develops through time without a specific end point (Johnston et al., 2010). An emerging body of research is therefore focused on investigating segregation from the perspective of the changing ethnic population composition in neighborhoods (e.g. Johnston et al., 2009; Poulsen et al., 2011). Analyzing what types of neighborhoods experience change in the ethnic population composition and identifying the drivers of these changes is crucial to our understanding of processes of ethnic segregation. There are two main drivers of ethnic neighborhood change. The first is residential mobility. The selective moving behavior of different ethnic groups can affect ethnic neighborhood change in different ways. Studies on segregation have argued that ethnic heterogeneity in neighborhoods stimulates the out-mobility of the native (majority) population to more White neighborhoods (e.g. Clark & Coulter, 2015; Kaufmann & Harris, 2015). ‘White avoidance’ theories, however, argue that the native population avoids ethnically diverse areas in the first place (Clark, 1992; Quillian, 2002). In both cases, the moving behavior of the native population affects the ethnic population composition in neighborhoods. With regards to the residential mobility of ethnic minorities, studies on spatial assimilation have argued that as ethnic minorities become more assimilated into the host society over time, they tend to move away from concentration areas developing similar residential mobility patterns as the native population (Bolt & Van Kempen, 2010a; Sabater, 2010; Simpson & Finney, 2009; Simpson et al., 2008). However, there is evidence that indicates that ethnic minorities are less likely to leave and more likely to move into ethnically concentrated neighborhoods (e.g. Bolt & Van Kempen, 2010a), as a result of a lack of financial resources (Clark & Ledwith, 2007), institutional constraints (Galster, 1999; Musterd & De Winter, 1998), or specific ethnic preferences (Bolt et al., 2008). 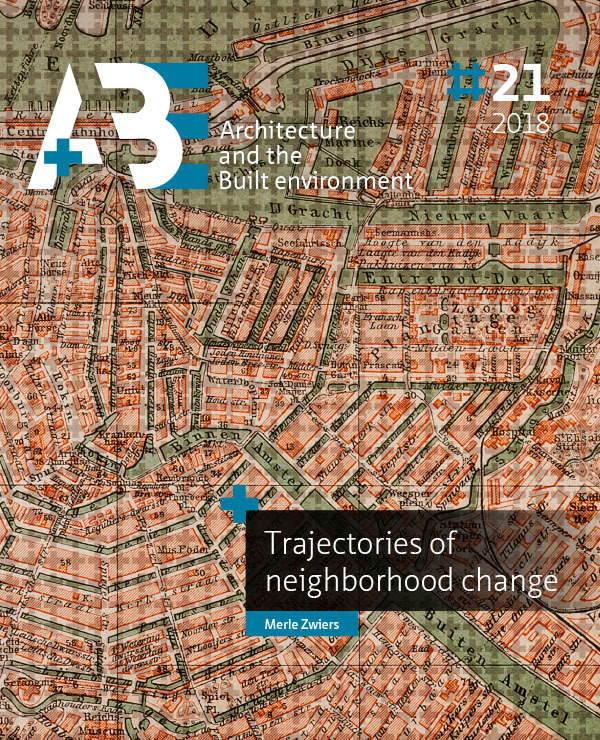 A small body of research highlights a second driver and has argued that ethnic neighborhood change is the result of both residential mobility and demographic change (Finney & Simpson, 2009; Simpson, 2004; 2007; Simpson & Finney, 2009). The share of ethnic minorities in a particular neighborhoods can change without residential mobility. Demographic events such as birth and deaths can influence ethnic neighborhood change in different ways. The relatively young age structure of many migrant groups often implies higher fertility rates when compared with the majority population (Finney & Simpson, 2009). When ethnic minorities have disproportionally more children than natives, the share of ethnic minorities in a neighborhood increases irrespective of mobility patterns. Similarly, higher mortality rates among the native population as a result of ageing might lead to high natural decline among natives, thereby reducing the share of the native population in a neighborhood (Finney & Simpson, 2009; Simpson & Finney, 2009). Residential mobility and demographic change are important drivers of ethnic neighborhood change, which affect ethnic segregation. In the context of growing ethnic diversity in many cities, it is important to question the extent to which this growth is evenly distributed over neighborhoods within these cities. Are there, for instance, particular neighborhoods that experience above average increases in their share of ethnic minorities, and if so, is this increase driven by selective sorting processes or natural growth? Or are ethnic minorities increasingly integrated, showing more variation in their residential mobility patterns over time? The present study aims to answer these questions by analyzing full trajectories of ethnic neighborhood change in the four largest cities in the Netherlands between 1999 and 2013. We employ a Latent Class Growth Model (LCGM) to categorize neighborhoods based on their unique growth trajectories of the ethnic population composition over time. This modelling strategy offers an empirical contribution to segregation research by categorizing patterns of ethnic neighborhood change, contributing to our understanding of diverging processes of ethnic segregation over time. Theoretically, this paper bridges two important fields of literature on the drivers behind ethnic segregation: residential mobility and natural growth. By integrating these theories, we seek to better understand the relative impact of both mechanisms on various levels of ethnic neighborhood change. ZWIERS, Merle; VAN HAM, Maarten; MANLEY, David. Trajectories of ethnic neighborhood change: Spatial patterns of increasing ethnic diversity. A+BE | Architecture and the Built Environment, [S.l. ], n. 21, p. 95-114, dec. 2018. ISSN 2214-7233. Available at: <https://journals.open.tudelft.nl/index.php/abe/article/view/3528>. Date accessed: 26 apr. 2019. doi: https://doi.org/10.7480/abe.2018.21.3528.